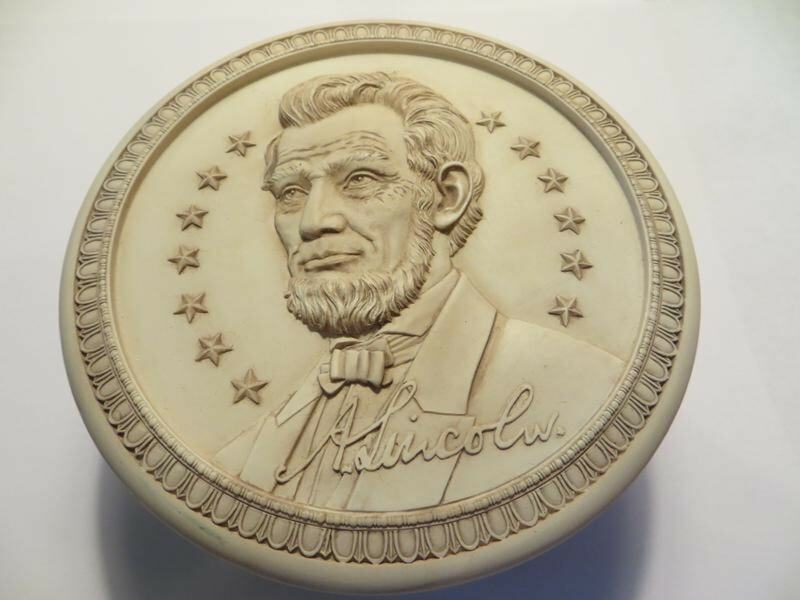 Abraham Lincoln's portrait is emblazoned on a round, decorative poly-resin box. Lid removes to a 3 3/4 inch opening. The overall box measures 4 1/2 inches in diameter and 2 inches high. Hand applied antique finish. 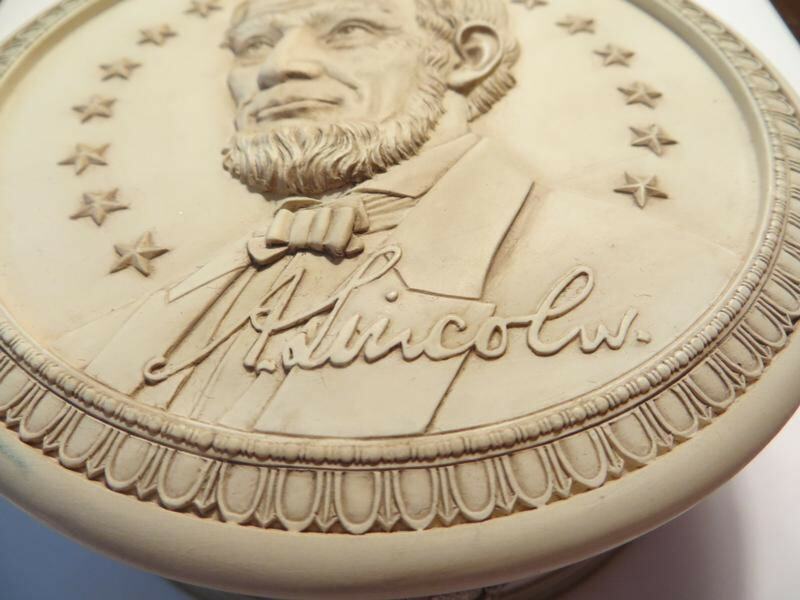 The box is ornately decorated with 13 stars that frame a detailed, embossed portrait of Lincoln's head, shoulders and signature. 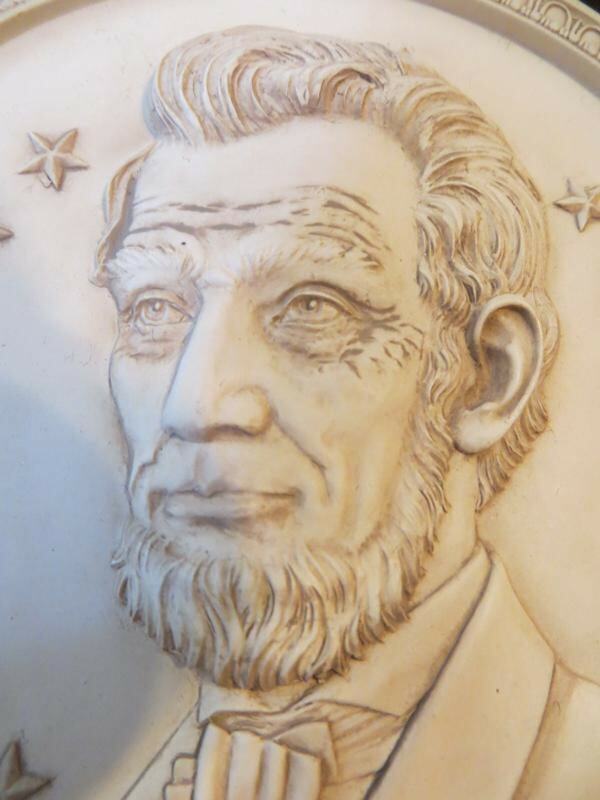 Considered by many Americans to be one of their greatest presidents, A. Lincoln guided the nation through the Civil War. He despised war but viewed it as the only salvation of the Union. 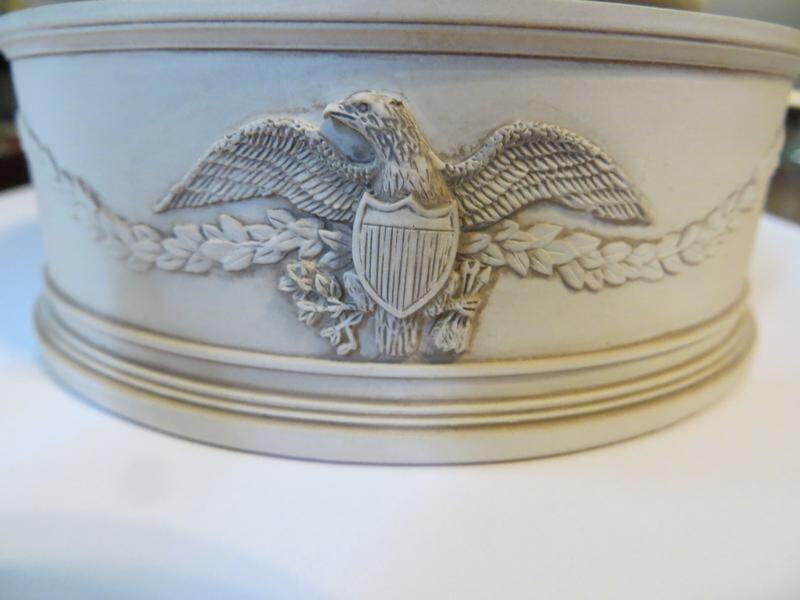 Three American bald eagles, each with a seal breastplate, adorn the sides of the lower portion of the box connected by a garland of leaves. Beige suede-like paper covers the bottom to protect the box from scratching furniture. 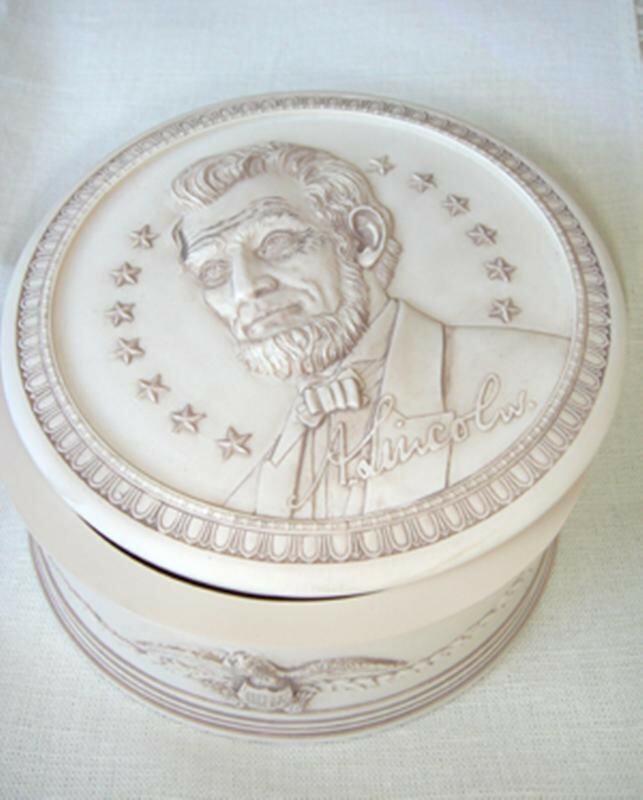 This commemorative box can hold heirlooms or paper clips and is an attractive item for your desk, dresser or coffee table.